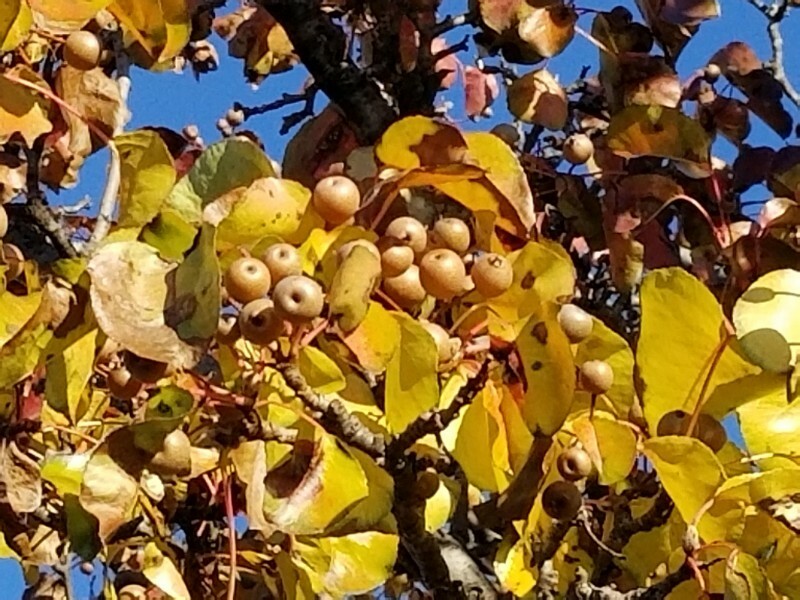 It has been a lovely, long Fall season here in Michigan, and I took this photo 2 weeks ago when there were still leaves on the tress. The change of seasons seems so fitting as we look forward to our first grandbaby on the way. After completing a quilt that was an emotional roller-coaster, I wanted something simple, and frankly, easy. I recently inherited a box of squares, all cut in somewhat different sizes, although I did not realize this at first. They were all cut by my darling mother-in-law, who passed two years ago this month. One of the cousins had the box for a while, and I think it may eventually make its way around to all the cousins who sew. 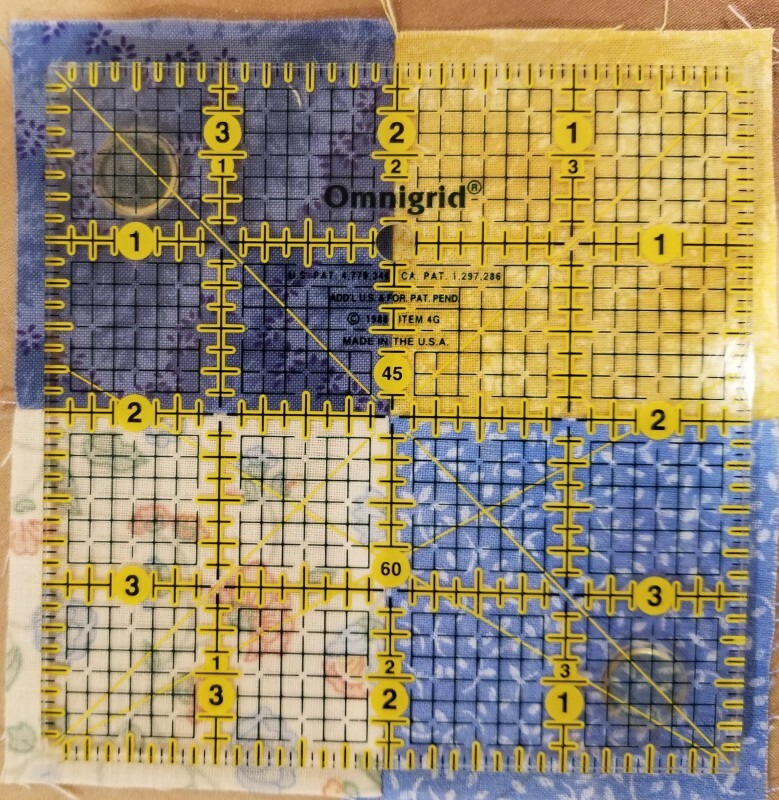 Wanting to use some of the squares my darling MIL had sewn, I found some that I knew she had marked on – she always penciled in a line for half-square triangles. 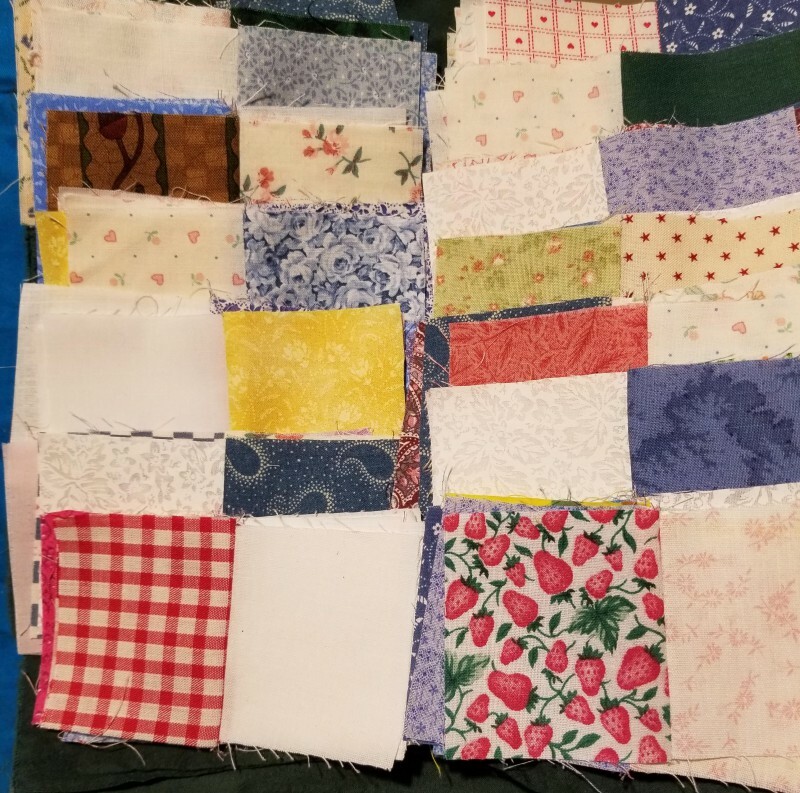 My goal was to make a new quilt for our first grandbaby, but one that his Great Grandmother had sewn part of. 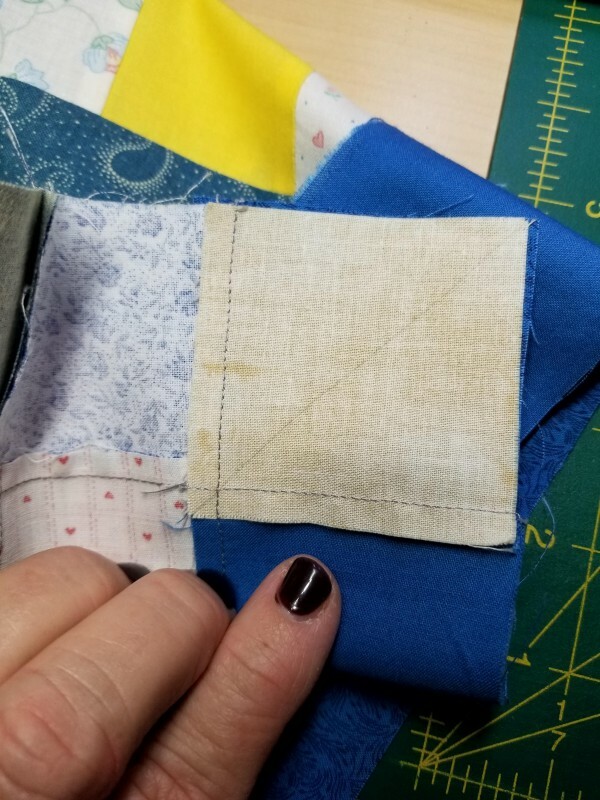 I did not realize until after I started sewing that some of the squares were NOT 2.5 x 2.5, but rather 2.38 x 2.5 or 2.25 x 2.25…or any combination thereof! The lesson here became sew a four-patch THEN square it up so there is some unity in size. 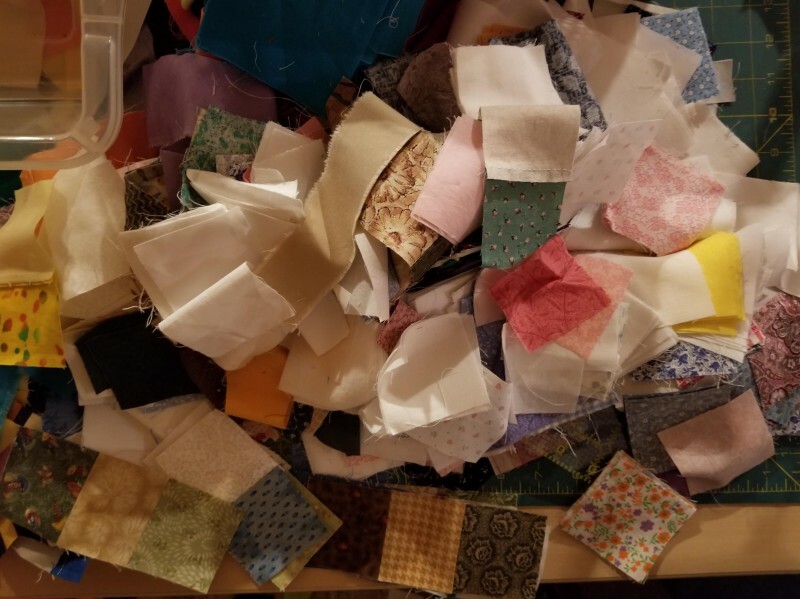 It is not finished yet, but I have now sorted and sewn light/dark or white/pattern pairs, 100 pairs, and will try to put them together in some charming way. I’ll post when it’s finished and quilted. In the meantime, enjoy the time you have with family & friends.